If you’re experiencing trouble sleeping, you’re not alone. It’s said that 1 in 3 people have at least mild insomnia. 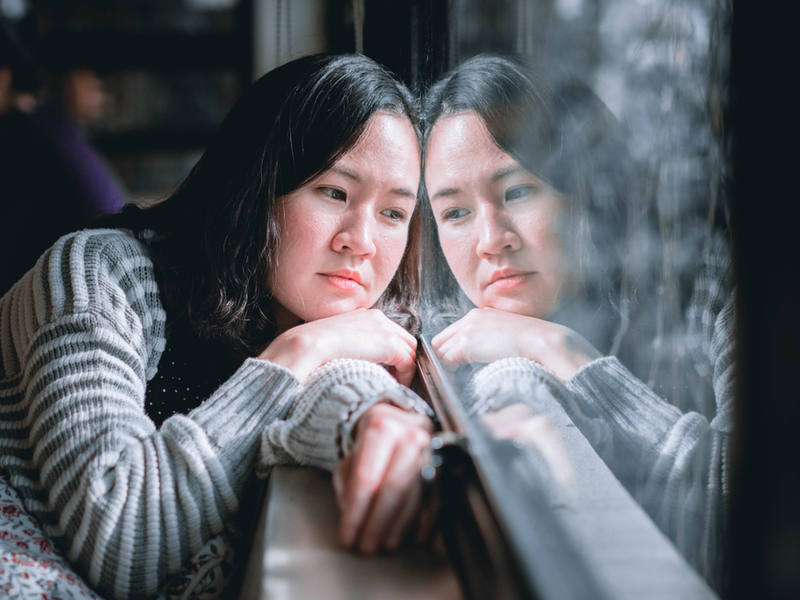 Poor sleepers develop poor sleeping habits, and what might have been just a few nights of restlessness may become far more destructive than that. What’s difficult is knowing and genuinely being able to break those poor sleeping habits and find solutions to help you get the good nights rest that you so desperately need. Healthy habits are often associated with how we choose to eat, or how often we exercise. We often neglect to see how our sleeping habits can negatively affect our lives. Each night, over eight million people in the U.S. alone struggle to fall asleep and stay asleep. So what’s the key? What’s keeping us from sleep, and how do we fix it? Here are some tips to help you get to sleep earlier, faster, and hopefully keep you asleep through the night. It’s not a surprise that we often jump on our phones when we’re feeling bored, or want to get an immediate sense of gratification. Worse yet, most of us can attest to getting on our phones first thing in the morning and right before bed. You might be asking yourself—is this a harmful habit? The overwhelming answer is, yes. Our phones are filled with the apps that give us immediate joy. They’re our notifiers, our alarms, our shopping carts, even our mailboxes. Without them, we feel lost. We may even be anxious to get them back into our hands as quickly as possible when we’re left without them for a few hours. It’s not easy to detach ourselves from our screens, but there are a few things you can do to slowly wean off of our phone dependency. 1. Keep / Charge your phone away from your pillow, or bed. From screen brightness to notifications, there are so many little things about our phones that can keep us up, or wake us up before we intend to. 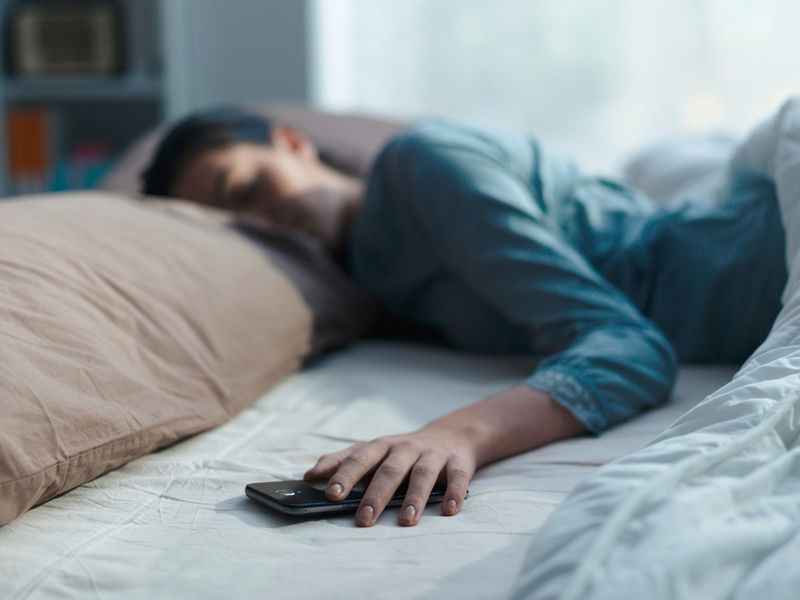 Before you fall asleep, move your phone away from where you’re sleeping. Take special care that your phone is far from your pillow. You don’t want a potentially pointless notification popping up to disrupt your senses. 2. The “Do Not Disturb” mode is your friend. If for whatever reason you absolutely need to keep your phone near you, make sure to put on it on a do not disturb mode. You’ll still receive any and all notifications, calls, texts, and voicemails that may come your way, but they’ll all be silenced. They can wait till morning! We often overlook is how powerful role that scent can play in our sleep patterns. Think back on a happy memory, one that you find calming. Recall the sights, the sounds, the scents you associate with that moment. Let’s say for example that this memory you think of is a walk in the woods. It’s light outside, it’s pleasantly warm, and the air smelled of fresh pine. Now, imagine you place a drop of an essential oil of a warm, woodsy scent on your pillowcase. As you drift into dreamland, that scent follows you and keeps you calm throughout your sleep. Some studies show that just by placing the scent of something special on your bed can not only help you fall asleep, but stay asleep for longer. Comfort is comfort, and if scent helps you feel that sense of comfort, use it! Whatever the scent, and however you choose to bring it into your living space, use it as a supplementary way to fall asleep just a bit faster than before. What is Progressive Muscle Relaxation (PMR), and how can it help you sleep faster? PMR is a deep relaxation technique that can help you control your stress and anxiety levels, relieve insomnia, and even help with chronic pain. The practice is actually quite simple. If you’ve ever taken a yoga class, you may recognize a form of this used at the end of a session. Simply put, PMR is the practice of tightening a muscle group, following that with relaxing the tensioned muscles completely. It’s best to work in groups, generally starting from the lower extremities, working all the way up to your shoulders and face. Although you can practice tensioning and relaxing your muscle groups wherever and whenever, for help with sleep specifically, try doing this in comfortable sleep attire while lying down. Is it the “Winter Blues”? Oftentimes our insomnia only exists during the peak portions of winter and summer. Whether this is because our internal clocks become confused as the days end quicker, or when the days grow long, or because the sun decides not to make a real appearance in the sky for a few days, even weeks. Sleep patterns will inevitably change over the seasons and years for a multitude of reasons. 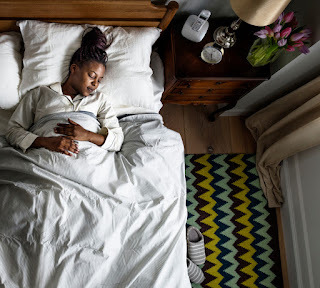 Whether it’s a new baby keeping you up, or changing body chemistry; creating healthy sleeping habits can do nothing but prove a benefit for your mind, body, and soul. Whatever tips you follow, try beginning your nightly bedtime routine slightly earlier than you usually do. Give yourself ample time to unwind from the day, away from distractions and daily stressors. Try to be as mindful as possible of how you’d like to feel before you sleep, and make note of what works for you as much as what doesn’t. Falling asleep earlier, faster, and staying asleep are all things that you may have to retrain your body to do. Sleeping well is necessary for your health, but remember to look at sleeping like any other good habit. It may take time to reform a poor habit into a good one. With anything, consistency, repetition, and realization are all necessary for progress.